There are Batsmen and there are artists, just like a shot that sends a ball flying over the mid-off to cross the boundary and a gentle flick of the ball from the off stump that send the ball racing to the square leg boundary . There are a lot of great batsmen with amazing stats in international cricket, but the artists are endangered species. 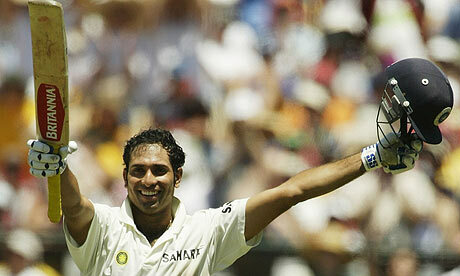 VVS Laxman is one of those artists on the endangered list who just got extinct. The Australians give him a rare compliment by acknowledging that it is not only difficult to ball but and almost impossible to set a field for VVS, he can hit the same ball to either sides of the field with the same effort. His affinity for Australia started early. In his first outing with the India Under-19s, he averaged 110.25 in three Tests against the visiting Australian U-19 team, which includes Jason Gillespie, Brett Lee and Andrew Symonds. He ends his career next to Sachin as second largest runs scored by an Indian against Australia. He was a master of winning loosing battles; his fourth innings specials gave us hope for a win or a draw even in some hopeless conditions. Chasing a testing fourth-innings target of 257 in Colombo, Laxman eases to an unbeaten 103. After being four down for 62, India canters to a five-wicket win. Next time it was rescuing the team from even deeper problems. Chasing 216 against Australia, India were 124 for 8 when Laxman put on his Superman cape again, scoring an undefeated 73 to steer India to a one-wicket victory. 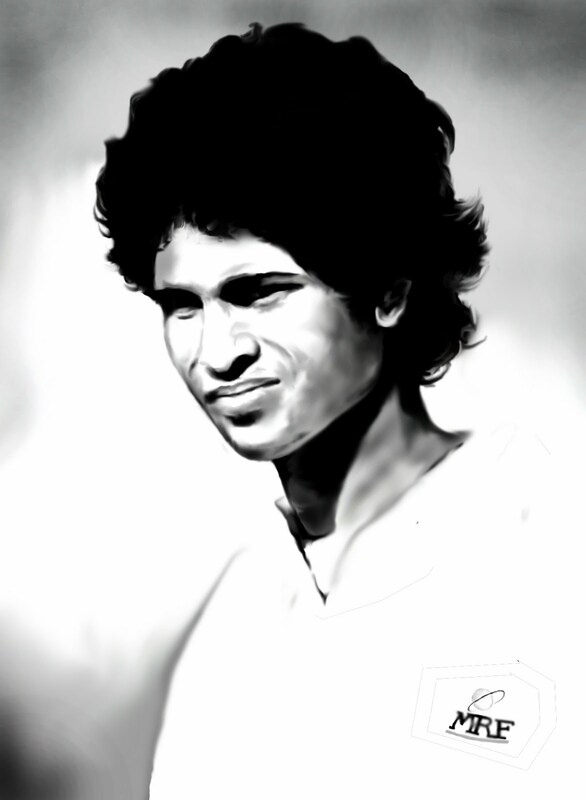 For me even his 96 against South Africa in a low scoring 2nd Innings was one that defined him as India’s finest artist. In a match where the second highest score of a batsman was 39, VVS was able to muster a 38 and 96 to secure the match for India. He was an orthodox player with some very unorthodox shots. With a large repertoire of shots VVS could have been a great ODI player, but for some unexplainable reason he was never able to maintain his position in the team. 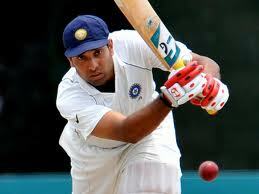 I was really surprised to learn that in his entire test career Laxman hit only 5 sixes. 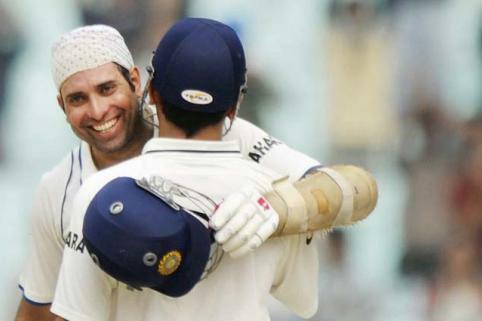 It is, of course, as a classical Test batsman that Laxman will always be spoken of in glowing terms by those with a sense of art and aesthetic, beauty and poetry, perfection and style. I believe he never got what he deserved, like the Unknown Soldier, he came and performed and went back. He was the soldier who was lost among the war heroes of his time. When the blaster, master and the wall failed, he was there to get India out of its peril. It makes me sad that he retired without much fanfare; I wish he was there to sign off in style with NZ series in India. He would always be remembered for his touch of genius and as a perfect gentleman. An American writer new to cricket, experiences the first couple of weeks of the World Cup, navigating the madness of a billion fans and chasing the soul of the game. 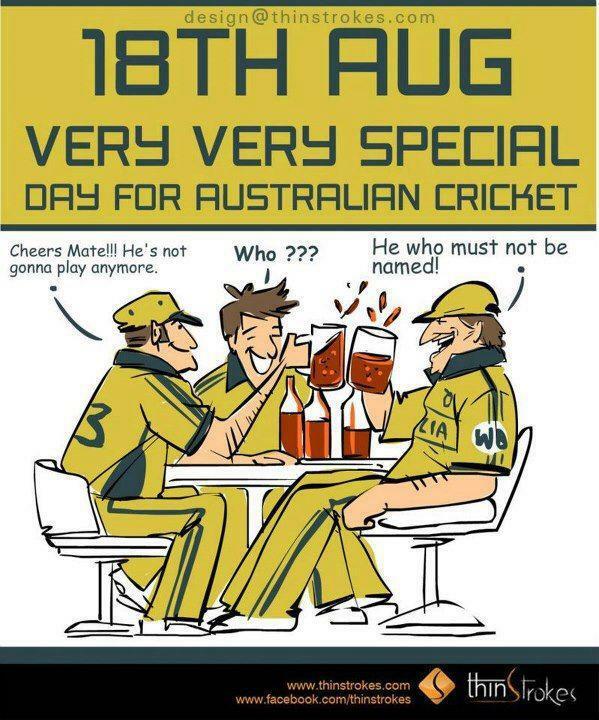 An exception writer and a great story to see Cricket from the perspective of an outsider. This is a brilliant story…….. This is a copy of the speech. This is just amazing. It is a long read so make time for it and read it when you have time both to read and contemplate. It is one of the finest words that has ever come out of a WALL. This is what makes him the finest ambassador of Indian Cricket. Sports like cinema creates stars and we create impressions of these stars based on the limited time that we get to see them on the TV or the stadium For some reason I always thought the rivalry is highest in individual sports than team sports, because it is a clash of individual abilities and personalities. I assume the temperament that I see on the court or the ring is what these stars take back to their living rooms. I could not have been more wrong than assuming that Amrish Puri and Amitabh Bachchan were not friends in real life. My entire child hood I hated Stefan Edberg because he was the arch rival of my all-time tennis favorite; Boris Becker. Head-to-head match stats: Of 35 times Boris Becker and Stefan Edberg met on the court at Becker led the table 25-10. Edberg on the other hand won three out of four meetings in the biggest test of Grand Slams. Both of them had won the career Grand Slam titles six times each, with both failing short to win the French Open. Also both the players have won the Australian Open two times each, showing rivalry more precisely in terms of title winnings. As a kid I followed Becker’s every game. It was time of no Internet and Doordarshan, so the task was not as easy as it is today. I had to hunt for Sportstar or Sportsworld or the international magazines in the local library to keep up with his wins and his ranks. As a group of friends, we used to compare weekly notes on the Tennis ranking. The hunt was always on for the centerfold of Sportstar which regularly gave away poster of an international star. If Boris was on the centerfold I get to buy the magazine. The four major Grand slams were a family affair, with every one compelled to be behind Boris Becker lest they unveil the wrath of me or my younger brother. The tournament is over for me if Boris is eliminated in early rounds. The guy who defeats him would be my arch rival. So I hated a lot of Tennis Players. Notably among them are Stefan Edberg, Michel Stich, Goran Ivanisevic, Pat cash. There were a lot more whom I care not to remember. I used to watch every match of Wimbledon and hated the French open because clay was not the best court for my star. In fact he never won the French open. Becker was not the best on the tour. He was simply someone whom I used to adore. There was a charm that I am no longer able to put into words but he was simply someone I idolized. I find it humorous now that I did not play Tennis, I had never set foot on a tennis court then and I still play tennis like a 10 year old. I was a cricket buff, I loved the game played the game but there was no one I could idolize. Well Viv Richards, Joel Garner, David Boon, were someone I loved but I did not follow them with the same passion as Boris Becker. In fact I cared very little about them. I have never been able to figure out why Becker evoked that passion in me. I still like him and I still get the same kind of nostalgic happiness to watch his vintage clips on YouTube. I guess it was the playing style that enamored me the most. Becker’s game was based on a fast and well-placed serve that earned him the nicknames “Boom Boom”, “Der Bomber” and “Baron von Slam”, and great volleying skills at the net. He could supplement his pure serve-and-volley game with brilliant athleticism at the net, which included the diving volley that was considered a trademark of the young German, and which endeared him to his fans. His heavy forehand and return of serve were also very significant factors in his game. It was the serve and volley game that drew me to follow the sport. It is for the same reason I never liked French Open that was played on the clay courts. The rush of the fast paced serve and pin point volleys made the game interesting and Boris was the best of his times. Over the years with the death of the serve and volley format and return of the power baseline games I lost my interest in the game itself. But what happed to serve and Volley? In response, courts were tweaked to make balls bounce slower and higher. Wimbledon, for instance, altered the composition of its grass in 2001, producing a firmer and more durable playing surface. This shifted the balance of power in the direction of baseliners, giving them valuable extra time—think a tenth of a second, which is all they needed—to line up returns and passing shots. 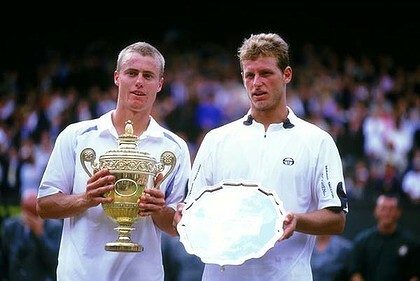 The 2002 Wimbledon final between Lleyton Hewitt and David Nalbandian marked the first time since 1978 that two baseliners met for the tournament title. In a combined 150 opportunities, neither player attempted to serve-and-volley. Not once. This is the current state of Tenn is. I cannot recall anyone who can be called a true serve and volley player in the top 25 players. Tennis as I like it has lost its charm. Not to say that it does not have talented players. In fact there are some great players who are playing the game right now.There are even greater rivalries read Federer and Nadal. But this is not the game i like. The last player I really liked and followed was Pete Samparas and tennis seems to have retired after that. For eight months now the Indian cricket fan has waited with breathless anticipation for the ultimate cricket icon, Sachin Tendulkar, to score his 100th international hundred. All this while, one man has stayed under the radar, doing what he has done with quiet efficiency for several years now. In this season of hype and noise, of made-for-TV fasts and high-pitched spectacles, Rahul Dravid has reaffirmed one’s faith in old fashioned values of solidity and integrity. The 38-year-old Bangalorean, in the autumn of a glorious cricketing career, has shown that true class doesn’t need a megaphone for self-promotion but only needs an unswerving commitment to one’s profession. In the process, Dravid has provided an inspiration to the silent majority who prefer their heroes to be performers rather than showmen. To be in the limelight and yet stay out of it can’t be easy and yet Dravid has handled the highs and lows of life with equanimity and perhaps greater dignity than most of his peers. Remember Dravid’s first test in 1996 was also a debut match for Saurav Ganguly. Comrades in the revival of Indian cricket, their attitude to life and the game could have been scarcely more different. Ganguly was the ‘Prince of Kolkata’, almost born to rule. Dravid, by contrast, carried a rather more prosaic epithet – ‘The Wall’. Ganguly was emotional and excitable, baring his chest to adoring supporters at Lords in a coming of age cricketing moment. Somehow, one can’t imagine Dravid revealing his biceps in public. When Ganguly was dropped, Kolkata came out on the streets. If Dravid were to be dropped, it is doubtful that the traffic would stop on Bangalore’s MG Road. Perhaps, Ganguly’s ebullience made him the better captain, but clearly Dravid’s dedication has ensured longevity. 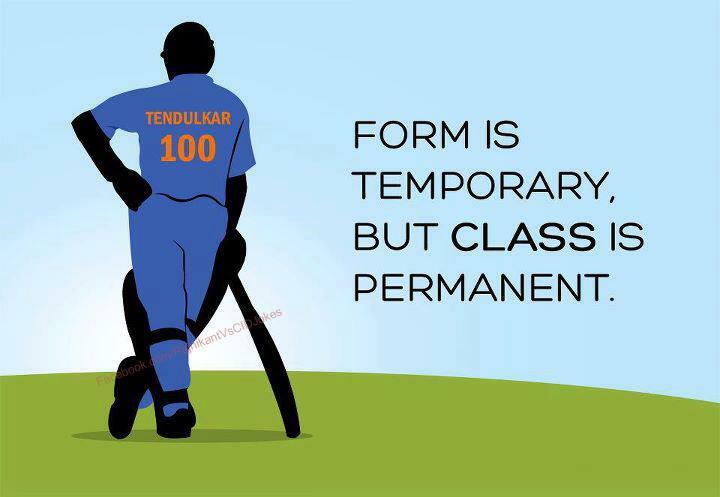 Of his contemporaries, only Tendulkar stands ahead of him in terms of runs and centuries. Perhaps playing in the Tendulkar era has meant that we have never quite been able to appreciate the full range of Dravid’s skills. The Bradman age saw the emergence of many great batsmen but such was Sir Don’s influence on the game that all others were overshadowed. The Tendulkar phenomenon has had a similar effect. And yet, if Tendulkar is the artist, Dravid has been the artisan, chiselling away at perfecting his craft to the point where he can actually claim to be in the same exalted space as the Mumbai genius. In some respects, Dravid actually has the edge over the mighty Tendulkar. For example, if you exclude Zimbabwe and Bangladesh, Dravid’s average in overseas series is marginally better than Sachin’s as is his contribution to India’s overseas wins. Quite remarkably, 32 of his 36 test centuries have come in wins or draws, confirming his stature as a true match winner. Add to nearly 13,000 test runs, the small matter of 10,000 ODI runs and 200 plus test catches, and his place as an all time great is assured. And yet, more than the runs, it’s the character of the man that has stood out. In a long international career, there is only one controversy that one can associate with Dravid: when as stand-in captain against Pakistan in Multan, he declared the Indian innings with Tendulkar batting at 194 not out. 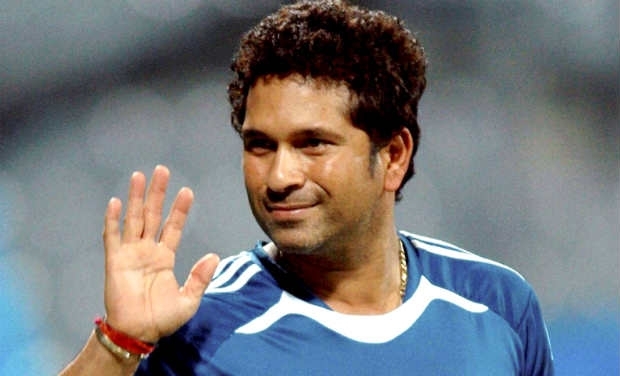 For those who see Sachin as a demi-god, the declaration was seen as the ultimate act of apostasy, designed to prevent a living deity from reaching yet another milestone. For Dravid, it was the result of a philosophy that always put team above individual, a mindset that even led him to become a wicket-keeper for a while in the ultimate interests of Indian cricket. 2011 has perhaps best defined the man’s spirit. Dropped from the One Day side, not considered good enough to play in the World Cup, battling with form, it would have been easy for Dravid to opt out. Amidst a slew of talented young batsmen, Dravid could have been forgiven for feeling like an antique item. This was, we were repeatedly told, the era of 20-20 cricket, of heavy bats and big sixes. Technique was seen as a cricketing romantic’s nostalgic yearning; contemporary cricket was all about speed and power. Dravid’s best shot was his forward defence, head right over the ball, a stroke many believed was best left to practise in a coaching manual, not on the cricket field. And yet, it is that very defensive correctness that has seen Dravid succeed in England this year when the young guns around him struggled. Indeed, this has been the year when Dravid the batsman re-invented himself, not for the first time. In the late 90s, he wasn’t considered good enough for limited overs cricket. Not one to be easily disheartened, he worked at his game to the point where he was the top scorer in the 1999 world cup. This year, he was picked for his first ever 20-20 international, a seemingly desperate move by an Indian cricket selection system that was running out of options. Dravid responded by stroking three consecutive sixes, his way of reminding the Indian cricket fan that a genius in sport will not be chained by format. It is possible that having answered every challenge, Dravid will seriously consider retirement soon. There are very few cricketing mountains he has left to climb and there will be no doubt a desire to spend more time with a young family. When he does eventually take the final bow, it’s unlikely to be a dramatic announcement. Somehow, theatrics and Rahul Dravid simply don’t go together. He will wish to fade quietly into the sunset, leaving behind memories of a bagful of runs, plenty of catches, but above all, a resoluteness of purpose. In an age of umpteen page three mini-celebrities, Dravid is a page one star to be treasured.